With my first full day in Washington D.C. 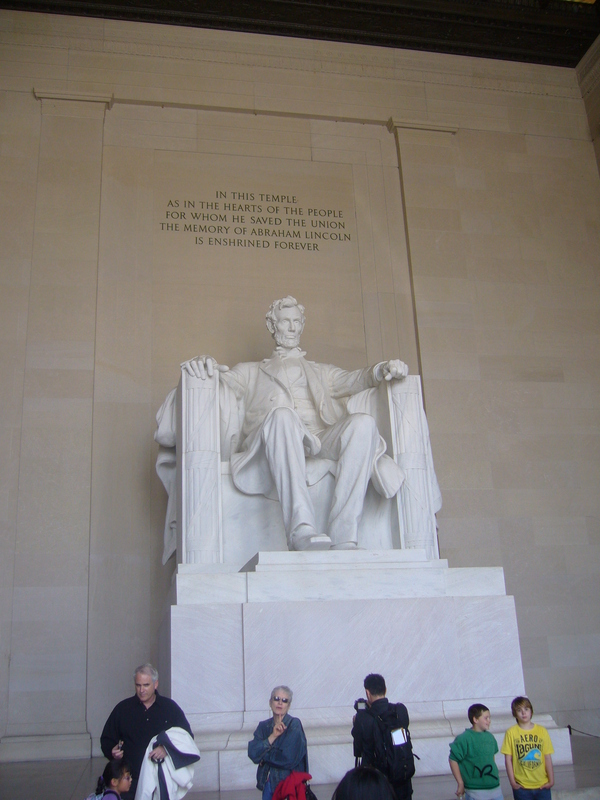 I decided I would walk down the National Mall and take in the monuments. 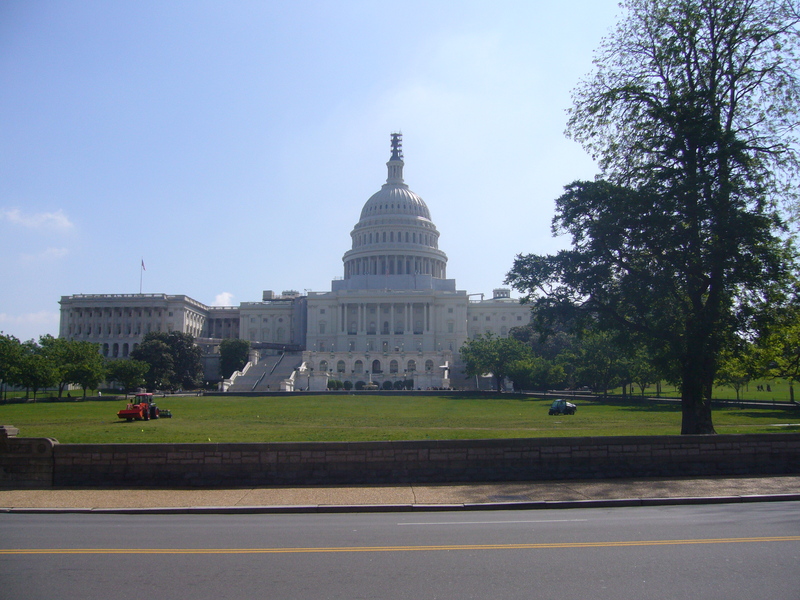 All the maps that I had seen and all the guidebooks I had read suggested that D.C. was certainly a walking city and this was perhaps the best way to see it and so I embarked on my very own brand of walking tour. Less than ten minutes walk from the Downtown Washington Hostel is the United States Capitol and this was as good a place as any to begin my trek through the tourist hot spot. I set out at around 10:00am while the air was still cool, the sun was rising fast and it wouldn’t be long before the temperature started to increase. From Capitol hill I headed down the National Mall passing the Smithsonian museums, which I had decided to pass up on for now. Hilariously, many of the buildings along the Mall had scaffolding up suggesting that, like Europe; North America isn’t ready yet. 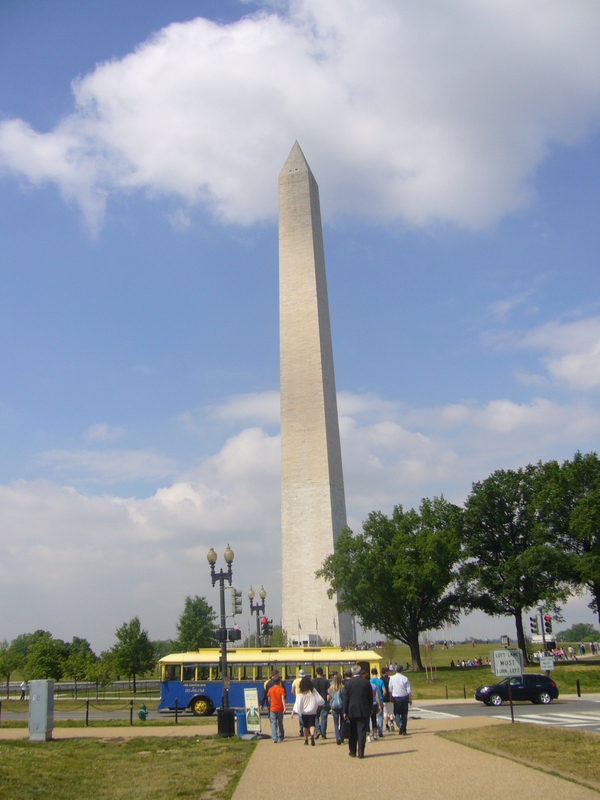 From the museums I continued on towards to the Washington Monument, which was closed due to earthquake damage suffered last year. Beyond the monument was the World War II Memorial which ranks alongside the Warsaw Rising monument as one of the more impressive dedications to the memories of those who fought and died. 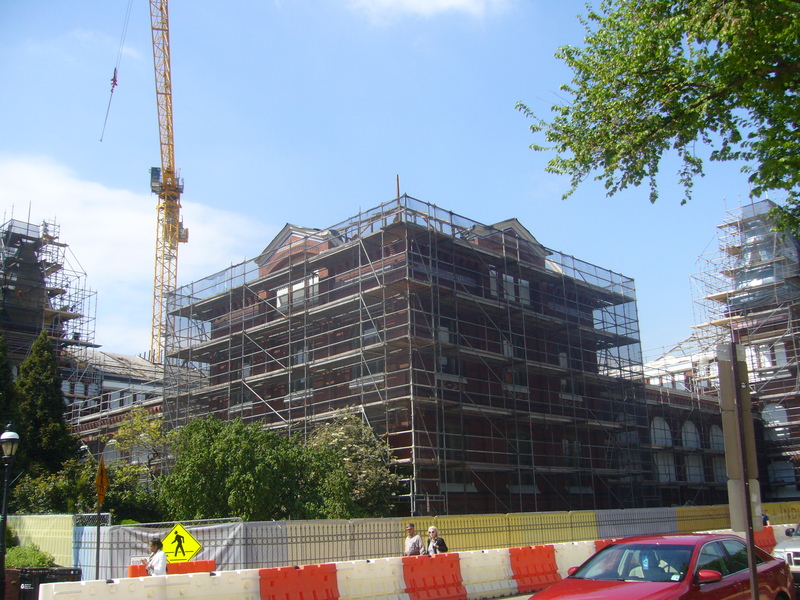 Maybe D.C. was ready for visitors once, but now it had passed it’s best and in need of renovation. This idea was confirmed upon reaching the Reflecting Pool, which was drained, blocked off and filled with workmen apparently doing restoration work. This was somewhat disappointing as I had hoped to see D.C. in all of it’s glory but it was not to be. At the same time, there’s something appealing in everything not being as it should be as it gives me a reason to go back. Beyond the Reflecting Pool I made my way up the steps of the Lincoln Monument, stopping inside to read the text and finding that “we will never forget” seems to be an integral part of U.S. culture. After the Lincoln Monument I decided to grab a bite to eat, top up on water and get some more sunscreen on. 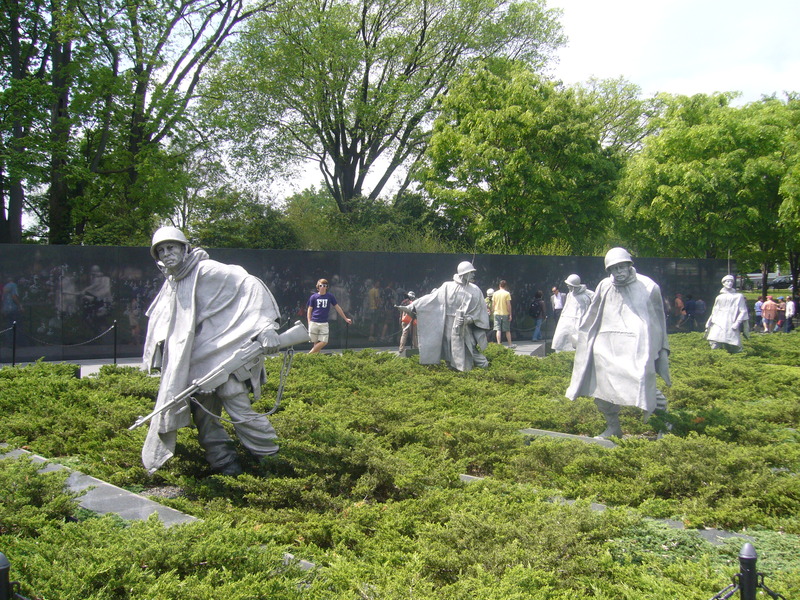 I then proceeded to check out the Korean and Vietnam war memorials. Both impressive and humbling in their own ways. 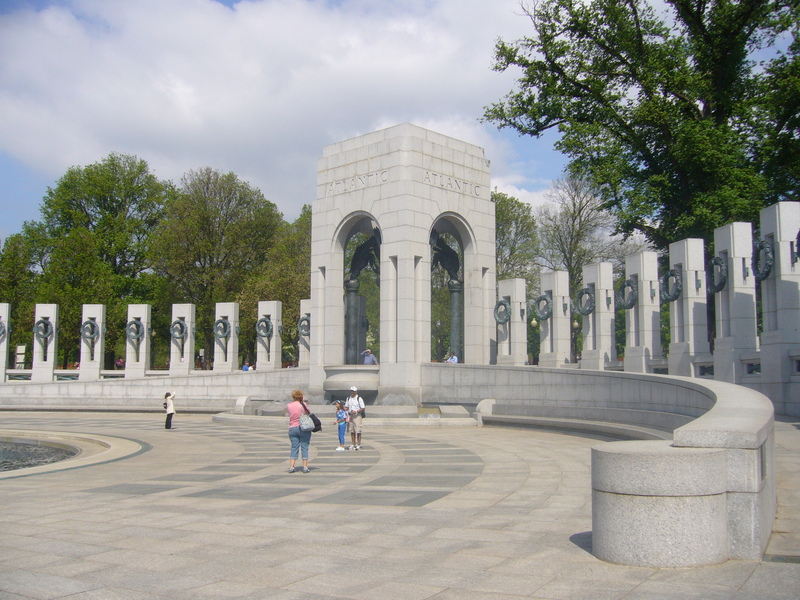 Having already walked 3km I had to decide whether or not I was willing to cross the Potomac river into the state of Virginia and explore the Arlington National Cemetery and find the Iwo Jima memorial. I decided that as I still had a few hours before I was to meet with my main man Barrack and enjoy tea on the lawns, crossing the river would be the right thing to do. 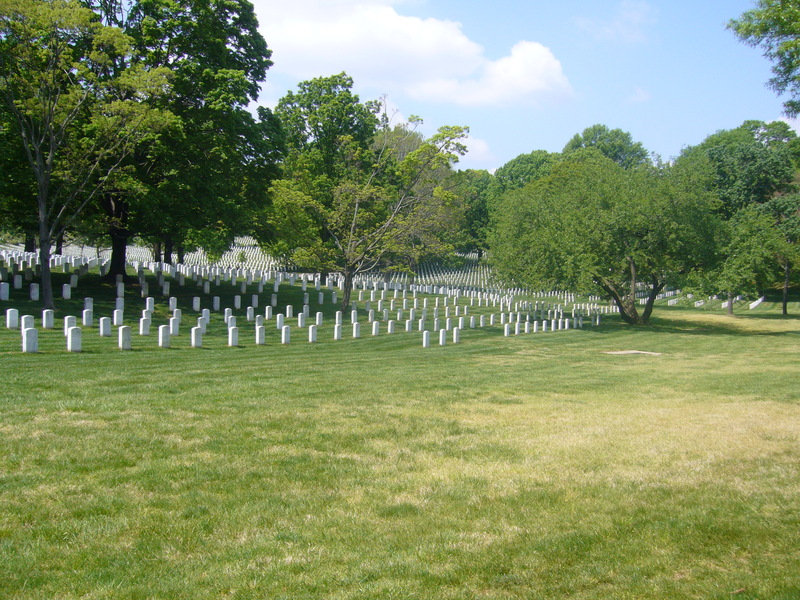 Arlington is vast, each rise and fall marked with row upon row of white tombstones, some marked simply on the front with the details of a fallen serviceman and others marked on the back with the details of their spouse as well. There is something that I find oddly appealing about cemeteries, and I enjoyed walking through until I reached the final memorial on my walk. 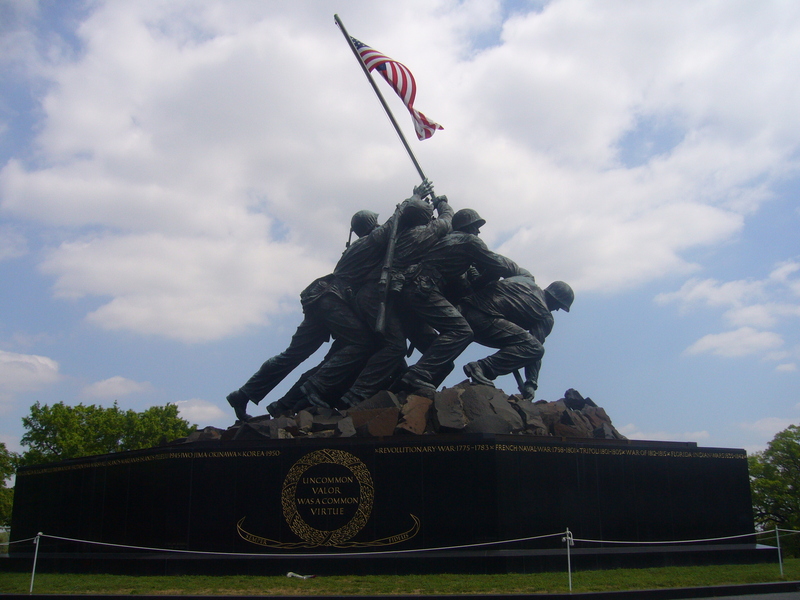 Iwo Jima is, for me, the most iconic of the U.S. war memorials and I have almost no idea why this is. It’s a striking statue and I spent sometime simply walking around it. 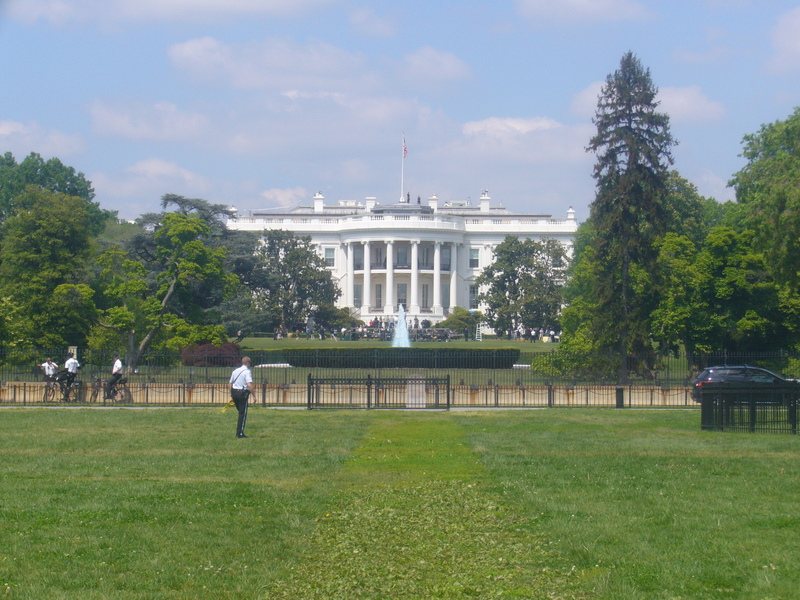 After walking what felt like the entire width of the city, I decided that I would begin making my way back to the hostel via the White House. Unfortunately, (I feel like I’ve said this a lot in this post) security had began taping off large sections of the grounds in front of the White House making it very difficult to get close enough to really appreciate the building. I had to assume that this was being done to give Barrack and I plenty of privacy for our tea on the lawn. Security seemed to have some other idea though, and I was told that I would have to move along. 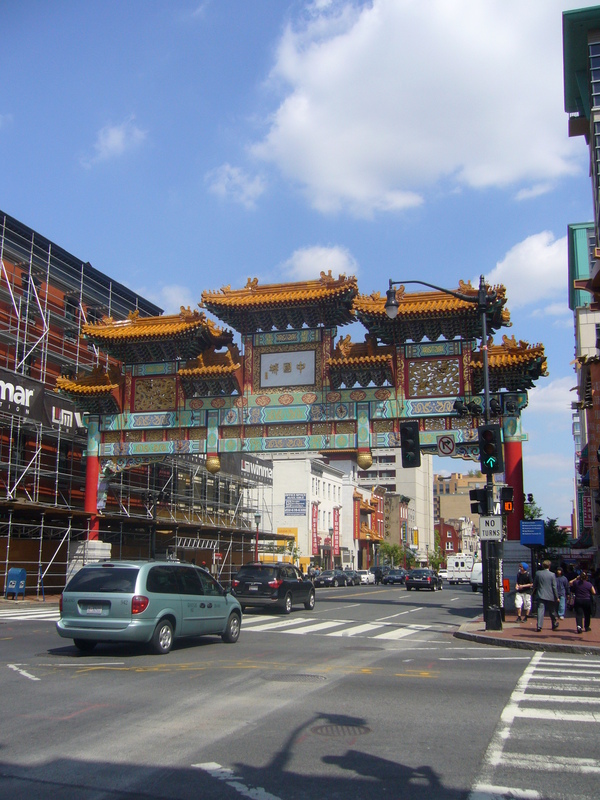 Once I had finished I passed through Downtown and China Town to return to the hostel. The divide between both is a single street, but the cultural differences from on to the other are astonishing. In Downtown, everyone appears to be white, middle-class and dressed to impress, in China Town everyone becomes suddenly poorer and less bothered about what anyone else thinks. I set my sights on checking out more of the areas of D.C. in the coming week. That evening at the hostel I met my new room-mate Mike, from High Wycombe! We got chatting, talked about football and decided to grab a couple of beers. 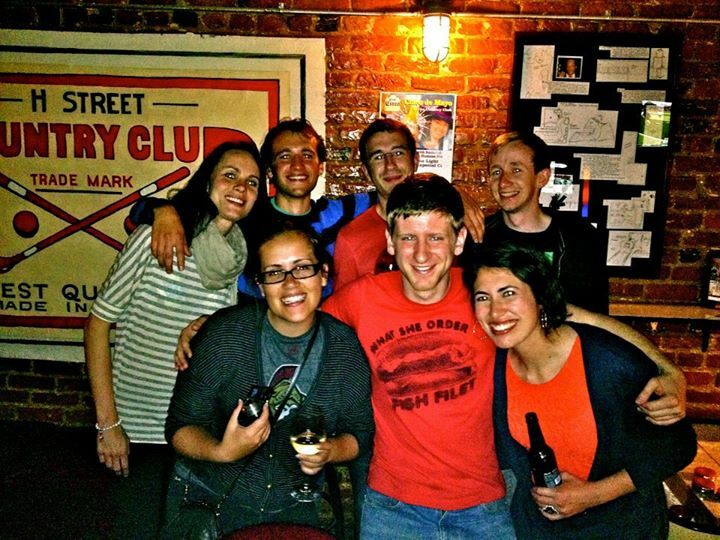 On returning to the hostel, we found Ollie, from Sydney who invited us to a bar that he claimed to have an indoor mini-golf course. This was one of those occasions where “no” drops out of your vocabulary, and after gathering a couple of other guests; Dorothea and Carissa. Ollie lead us on a merry little waltz through the suburbs, eventually arriving at the H Street Country Club to find that the golf course closed at 11:00PM. 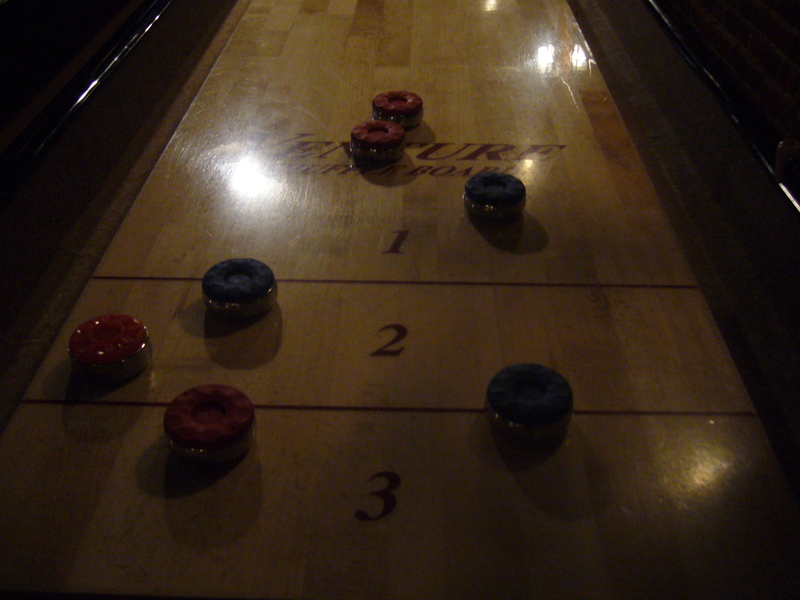 We were not disappointed though as we found table shuffle-boards. After a few round, we broke off into teams of UK vs Australia and had a pretty tight game that finished 23-24 to the Aussies. Obviously, Mike and I let them win. 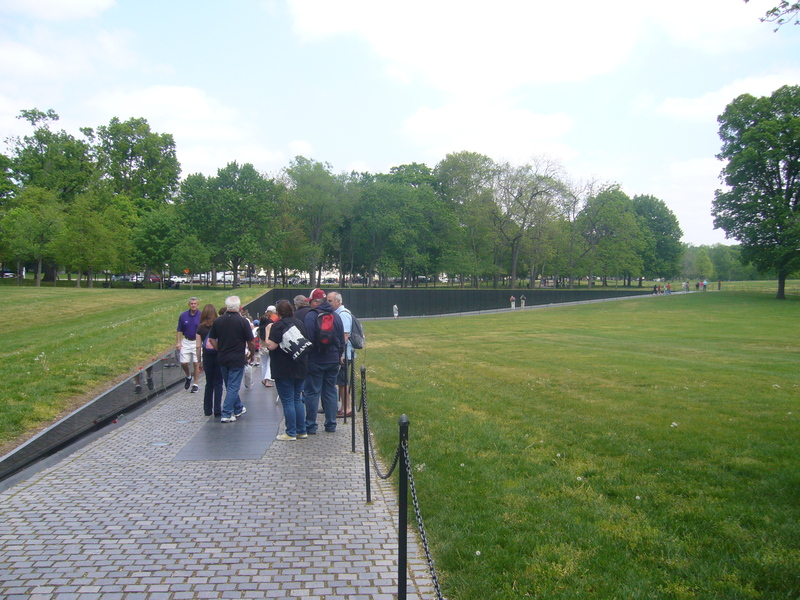 Tags: Memorials, Travel, Washington D.C. Very entertaining, sounds like a great trip. I trust you are well and not too tired. How is life being a Veggie on a trip like this in the US? Photos are good but we need to see more of YOU in them! I’m good, thanks. I’m pretty tired, but that’s what you get when you refuse to say no. It was quite difficult being vegetarian in Florida, but in D.C. it’s not as bad. There are still fewer options than in the U.K. but I’m getting by. I’m doing a lot more cooking in hostels to save money and it also makes things a little easier. I’m taking the day off from fun to recover a bit today, so I might find some more photos with me in for you!